Concerning consumer behaviour is revealed. 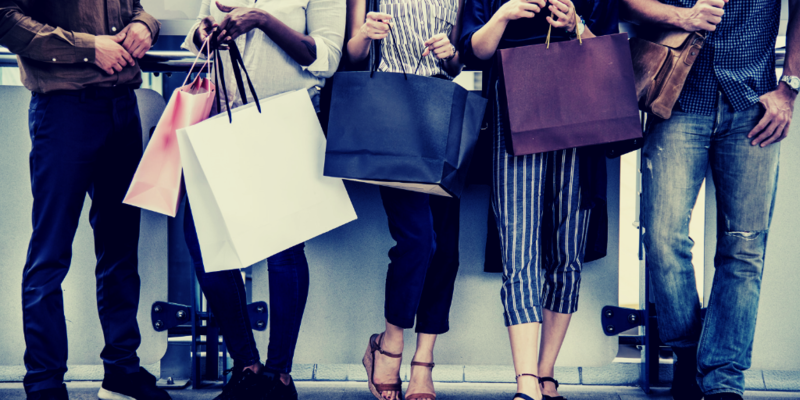 In November 2018, ASIC put its “spotlight on the rapidly growing buy-now-pay-later industry” to review how buy-now-pay-later arrangements are influencing consumer spending habits. ASIC’s research and report which examined six providers, came just before a more broader review and Senate inquiry into the regulation surrounding payday lenders and consumer leasing businesses. Australia’s two largest buy-now-pay-later providers, Afterpay and Zip Co. appeared before the Senate inquiry on 22 January 2019. While the industry has operated for some years, many are unaware of its existence or if they are: how it works. And as ASIC’s findings suggest, those people may be in the older demographic with 60% of current users being 18 to 34 years’ old. The premise of these buy-now-pay-later arrangements allows consumers to obtain goods/services immediately and pay for them over time. ASIC’s findings suggest these arrangements may be offered in the form of fixed-term contracts up to 56 days for amounts up to $2,000, while other product offerings include lines of credit up to $30,000. ASIC’s concerns for the risk to consumers creating or exacerbating debt appear to be founded with one-in-six consumers experiencing some form of repayment distress and many reaching for additional borrowings to meet their payments. At the Senate hearing, both Afterpay and Zip Co explained their vastly different business models. Afterpay splits payments into four equal parts, bi-weekly, whereas Zip Co provides a line of credit, once rudimentary credit and identification checks are completed (Zip Co touts its distinction as a credit provider). Both operators confirmed they “don’t sell off bad debt or report it to credit agencies”. When it came to the collection of outstanding payments, Afterpay confirmed they do engage collection agencies but noted they had not pursued any debts in the Courts, whereas, Zip Co explained it does not engage collection agencies and “does not enforce debt legally”. The contention for ASIC and the Senate is that consumer protections under the National Consumer Credit Protection Act 2009 (National Credit Act) do not apply to buy-now-pay-later arrangements. This means no requisite credit licence is required to provide these services, nor comply with the “responsible lending obligations”. ASIC supports extending the Commonwealth’s proposed product intervention powers to all credit facilities giving it a flexible tool kit to address emerging products and services (such as buy-now-pay-later arrangements) and to ensure ASIC can act where it identifies significant consumer detriment. Chief executives of both companies presented their arguments to the Senate that buy-now-pay-later products should not become subject to national consumer credit protections —rather, they should be regulated to recognise their difference to credit-card providers and one another. So, why is ASIC so concerned with the need for consumers to be protected? 81% of users believed it allowed them to “buy more expensive items that I couldn’t afford to buy in one payment”. 70% of users believed it allowed them to “be more spontaneous when I’m buying goods and services”. 64% of users believed it allowed them to “spend more than I normally would”. Increased “five-fold” from 400,000 to 2 million consumers over the last three completed financial years. Increased transactions from around 50,000 to 1.9 million. Established $903 million in outstanding buy-now-pay-later balances. Created a rate of growth of users at 120% per annum. Predominantly the industry makes its money from two sources: merchant fees, and late fees. The two largest participants have contrasting models with Afterpay stating at the hearing that it makes 20% of revenue from customer late fees and the balance from merchant fees (Afterpay is partnered with 20,000 merchants); conversely, Zip Co said customer fees account for over 50% of revenue and accordingly charges significantly lower merchant fees. Afterpay highlighted that only 5% of its customers in 2017-18 year incurred a late fee. Zip Co ratified this low margin of consumer impact by citing only 1% of its customers struggled to make repayments. So, what affect has this had on personal insolvency? The upcoming edition of The Worrells Insolvency Report shows that in the 2017-18 financial year 37% of non-business related, personal insolvency appointments cited “excessive use of credit facilities” as being a cause for the appointment. Credit card debt has long underpinned a strong correlation between an attitude of living beyond one’s means and insolvency—being unable to pay debts as and when they fall due. This attitude is overwhelming prevalent in the younger demographic and in view of ASIC’s finding of consumer attitudes shifting in the hands of a buy-now-pay-later model: “buying more expensive items”, “spontaneous purchases”, “and spending more than normal”, perhaps the fallout or connection is yet to be seen. As heard at the Senate inquiry, neither of the two largest operators have claimed to have taken legal action in pursuit of outstanding debt, which suggests zero creditor’s petitions have been filed to commence bankruptcy proceedings. However, in the case of Afterpay and its business model of a debit or credit card underpinning the account’s mode of payment, perhaps the financial institutions issuing those cards will more frequently feature as creditors in bankrupt estates. Should the National Credit Act become extended to the buy-now-pay-later industry, it would mean that those operators must conduct the same credit checks that financial institutions do when issuing credit cards. This would significantly impact the industry and the businesses that now rely on buy-now-pay-later sales. The other providers examined in ASIC’s report are yet to appear before the Senate. ASIC’s Smart Money website gives some useful information and case studies for consumers understanding and considering buy-now-pay-later services. Your local Worrells Partner is available to talk through any insolvency concerns your client might have. Regulated under the Australian Securities and Investments Commission Act 2001 (ASIC Act). Around 50,000 transactions in April 2016; around 1.9 million transactions in June 2018. According to Power Retail’s research. Power Retail is Australia’s news and information resource for e-commerce retailers.